You don’t have to wait a minute longer to get the bath of your dreams. Bath Planet of Jacksonville has a unique system for ‘magically’ transforming your bathroom – faster, easier and more affordable than you ever thought possible. We offer a wide selection of solutions for your bathroom remodeling needs including; acrylic bath and shower systems, like replacement bathtubs, wall surrounds, shower liners and more. Plus, we offer cutting edge accessibility options, like tub-to-shower conversions, walk-in tubs, and barrier-free showers. 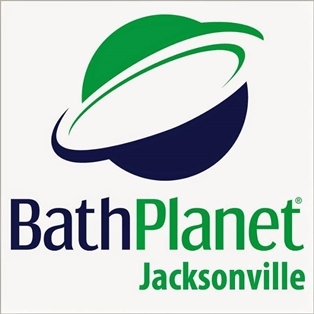 Bath Planet of Jacksonville proudly serves Jacksonville, St. Augustine, Orange Park, Ponte Vedra, Palm Coast, Jacksonville Beach, and surrounding area homeowners. Isn’t it time you gave yourself the bathroom you’ve always wanted? You owe it to yourself to find out more. Call or contact us today for a FREE, No-Obligation Design Consultation. We also offer a lifetime warranty on our bath and shower systems. No matter what bath or shower system you choose, you can feel confident we will install a beautiful bathroom. 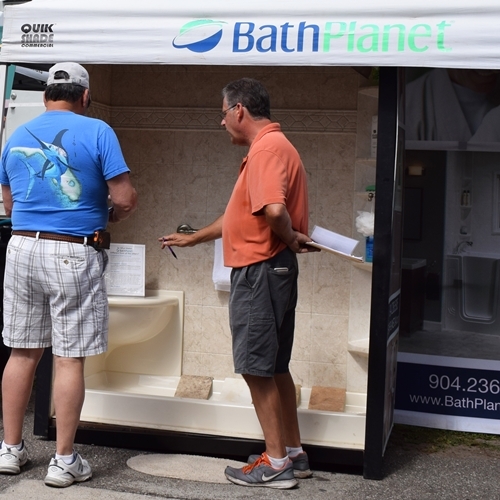 With Bath Planet of Jacksonville there’s no need to take on a messy, expensive, time-consuming and stressful remodel. We have a unique system that gives you a beautiful new bathroom in about a day, at about half the cost of traditional remodeling! The secret is in the state of the art material used to wrap your tub/shower. And because the material is durable, nonporous your heavy cleaning & scrubbing days are gone forever. You’ll be amazed by what you see. No high-pressure, no obligation to buy anything. Just professional design experts to help you create the bathroom of your dreams.